Healthcare in India has improved drastically in the last few years. Sizeable private sector investment has boosted the hospital infrastructure in India and given the obvious cost advantages, Indian healthcare sector looks better than it was in the past. However, despite the recent improvements the healthcare system in India lags behind its neighboring countries. One of the benchmarks for healthcare efficiency is the grass root availability and government funding is a critical component which can foster the spread of effective healthcare across the nation. The government seems to have realized the importance of effective healthcare and has embarked on a bold initiative to improve the healthcare system in India. I call the plan BOLD given the current density of medical colleges and the doctor to patient ratios. No doubt, it is going to be a momentous task to create these many colleges. Funding and execution apart, the government might find it difficult to sign up enough teaching staff even though a phased approach could be an obvious solution. However, should this happen it will be boon especially to the rural India where the state of healthcare is poor. With significant opportunities in rural India, an efficient and easily accessible healthcare system will only benefit the overall development of country. There is no surprise on how competitive admission to medical colleges is in India. Creation of new colleges is expected to lend some sort of balance to the demand-supply issue as well. Also, it might end up curbing the insane donations charged for admissions to private colleges by agents across the country. With more seats, aspirants will be more hopeful of making it to one of the medical colleges. What are your thoughts on this bold initiative by the government to adorn each and every district with a medical college? @ Ankit we are talking of three different things here. If improving the health of people in rural districts is the priority then we need more emphasis on public health and preventive health. For that we would need more primary health centers and nurses than opening a medical college. Secondly for implementing concepts like Remote Health Monitoring all one needs is a PC, internet connection and Skype, not sure if we need more than that. Thirdly to get more youth interested in Medicine, not sure if that would improve the health conditions. What we need is quality not quantity. Some concepts that you can research as a follow up to this piece are- Life Line Express the train that travels to remote areas to dispense treatment. Secondly the low cost hospital format being launched by Fortis. Finally Aravind Eye Hospital that was actually set up on the same model as Mc Donalds. @ Anand I totally agree expecting the government to set his up is fools paradise. I know government should focus on healthcare but they are busy running an airline and interfering with the cricket board. The government's initiative is good but implementing this scheme is to be seen. We have seen many such visionary schemes launched by the government. The state of the government hospitals are in a pathetic state, no drugs, no doctors, and the way patients are treated are miserable and pitiable. The funds allotted will evaporate and the scheme will have its natural death. government had made so many initiatives but it is of no use..it need proper implementation. Healthcare is very important to each and everyone of us. 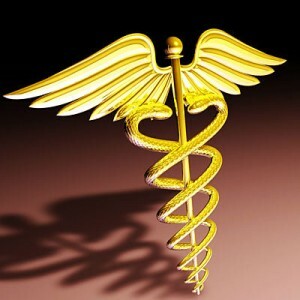 The government in India is very good because they think already the health of its people. While i love the idea, it is unlikely to get past the parliament, let alone come to fruition. More importantly, the question is is this the solution for our health problems? and can this be done? i would say an emphatic no to both of them. We don’t technically need a hospital in every district but we definitely need better distribution of Healthcare professionals across the nation. The urban centers are saturated with Health service providers while the rural areas are struggling. Technology can be used to implement techniques like Remote Health Monitoring and Preventive Care to help deliver higher quality of care in the semi-urban and rural areas. Appreciate your thoughts here Dr Vikram. But tell me, having local infrastructure and local healthcare workers can go a long way in imparting proper healthcare in the right fashion. Remote health monitoring etc. adoption is increasing but again that needs a technology overhaul in the rural areas. Additionally, if medical colleges open in rural districts more local youth could aspire to get into the profession.